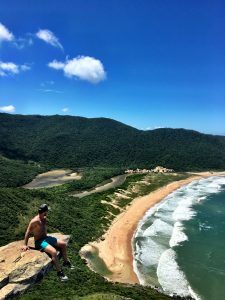 Co-hosts Sam & Johnny are up for the first quarterly update of 2018 as investors, entrepreneurs, and travelers who share their own experiences. During the first 3 months of this year, they have interviewed several experts in the field of investing and have tried some investment platforms that they learned from the show. 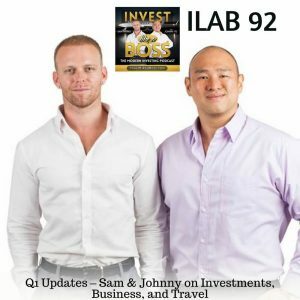 On this episode, Sam & Johnny share their investment updates including the significant investments they ventured in and the downturns of some of their investments during the 1st quarter. They also share their work progress in the past 3 months and how their returns and income look like. They show us their trail during their travels and the countries that made the most impact on them. 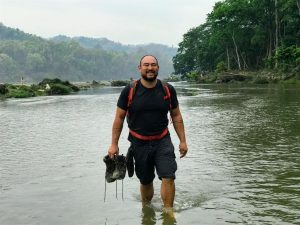 Listen to this episode to learn some tips and strategies for investing, building businesses, and traveling. Listen to ILAB 92 on iTunes here or subscribe on your favorite podcast app. 10:45 – How to become an accredited investor?